According to the Centers for Disease Control and Prevention, 25 percent of seniors age 65 and older suffer a fall every year. 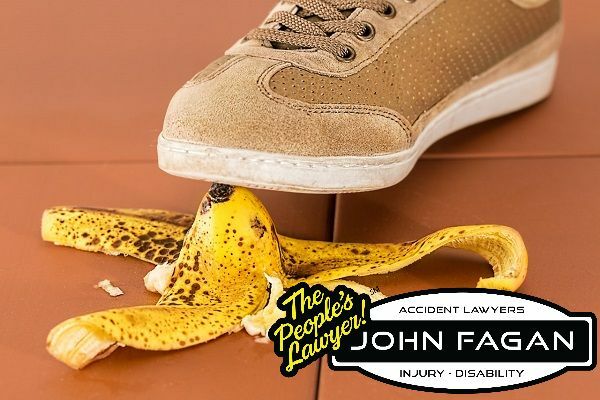 Annually, slip, trip and fall accidents among the elderly account for 2.8 million injuries and 27,000 deaths. Many suffer head trauma, hip fractures and lacerations due to falls. Since falls are the leading cause of injury and death among the elderly, you may be concerned about your parent, grandparent or other family member. A serious fall can traumatize a senior citizen and make them afraid to participate in favorite activities or even get out of bed. Fortunately, there are ways to make a living environment safer and improve a senior’s health so they can avoid a fall. Many falls among seniors are caused by muscle weakness. Seniors can combat this by doing strength-building exercises. Walking, swimming and dancing are examples of exercises that build leg strength while improving coordination and balance. Clutter is a common cause of trips and falls. Assess the floor regularly and look for items that could cause a person to fall. These include electrical cords, pet toys, magazines, shoes, baskets and plants. Even rugs can bunch up and cause a fall. In retail environments, store owners have a duty to keep the premises safe for customers. That’s why employees must clean up spills quickly to avoid slips and falls. This same principle should apply at home as well. If you see a spill, clean it up quickly. Otherwise, you or someone else could slip on the substance and cause a serious fall. If you tend to wobble when you walk, a cane can help. If you have stairs, use the rails to assist you. In bathrooms, grab bars are helpful, especially in showers. Many falls are caused by an inability to see what’s in front of you. Add brighter lighting outdoors as well as in frequently used areas indoors, such as hallways, bathrooms, kitchens and staircases. Hearing loss can lead to balance issues, and this can make a senior more prone to falling. Vision is also a factor, since it’s easy to trip on something you didn’t see and suffer a fall as a result. As we age, our eyes are more susceptible to conditions such as glaucoma and cataracts. Poor depth perception and blurriness may also play a role. Get your eyes and ears checked once a year to address any of these possible issues. Seniors often take multiple medications to manage health conditions. These medications may interact with each other to cause dizziness or drowsiness. If this is the case for you or your loved one, make sure to take extra precautions to prevent falls. Sturdy shoes that have rubber soles and fit properly are best for seniors. Seniors should avoid wearing flip flops, slippers, high heels and backless shoes. Even bare feet or socks can lead to slips and falls, so it’s best to wear shoes as often as possible. Here is a great place to find affordable footware from Dealslands. If you’re a senior citizen living on your own, don’t feel like you have to do everything on your own. Trying to do too much can cause you to move too quickly and slip or trip. Instead, enlist the help of friends, family members or even neighbors. Have them help with household chores such as cleaning floors or vacuuming. If there is snow or ice on your driveway, have someone clean it off for you. If you don’t have anyone who can help, hire a professional. There are professional house cleaners, landscapers and even nursing assistants who can help you with daily tasks.